August: a month of growth and success!home/news/August: a month of growth and success! August: a month of growth and success! What a month it’s been! 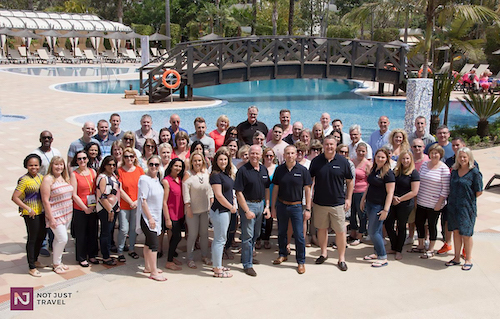 From record sales to personal success stories, we’ve had loads to celebrate in August at the Travel Franchise. In addition to the two training sessions which passed through our head office, teaching over 20 new Travel Consultants how to build successful businesses, we’ve added new team members to our head office, paid out a phenomenal amount of commission and sent 1000’s of passengers away on holidays to 100’s of destinations. At the beginning of the month, we caught up with Debbie Hunt, one of our most successful Travel Consultants. She shared her inspiring story and gave us loads of tips on how to grow your own travel business! With no previous travel experience, Debbie is now doing extremely well, and her business continues to grow. If you need some motivation to take the plunge and start up your own home travel agency, check out the full interview with Debbie! 2 Money Back Challenge Winners! This month also saw us congratulating many more of our Travel Consultants on hitting major sales figures! Sarah Watts was our first Money Back Challenge winner of the month; winning back her franchise fee in just 10 months! Find out how she did it here. No less than a week later we were raising our glasses once again to another Money Back Challenge winner; Lorraine Robinson. No other business can say their franchisees are doing so well, and it goes to show just how attainable those five-figure monthly commissions really are! Read Lorraine’s story here! One of the many ways we helped our Travel Consultants increase their sales in August was by giving away airport lounge passes. What better way to start your holiday, than by starting in style. In August we gave away 2 free airport lounge passes to clients booking last minute holidays. We paid for them, the clients enjoyed them and our Travel Consultants increased their sales. How many other franchises give things away to help increase sales? Here at The Travel Franchise we have also put a lot of focus on supporting our Travel Consultants, which saw the introduction of our new Star Council programme. This allows our Travel Consultant’s to have a voice and direct line of contact between the head office and the field. We love a good incentive to get our Travel Consultants motivated, and this month it’s the Mini Challenge. Our Travel Consultants have the opportunity to win a Mini Cooper to get them from A to B, and there’s already been a few lucky winners! So it’s celebrations all round this month, and we hope to see many more success stories in September at The Travel Franchise.